The amendment is aimed to make the Massachusetts Constitution more inclusive of all genders. State Sen. Rebecca Rausch, a Democrat of Norfolk, Bristol and Middlesex, said gender inclusivity is important for the state constitution because both men and women hold elected office in the Commonwealth. Rausch said changing the language of the state constitution is significant because it reflects ideas in society at large. 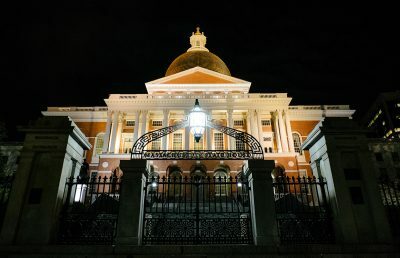 Ev Evnen, interim director of the Massachusetts Transgender Political Coalition, said they think this bill presents an opportunity to remove gender defaults. Evnen said even if the language change does not directly lead to social change, it is still an important development. Cindy Arjun, 33, of Brookline, said she did not realize the state constitution was written with “he” and is glad lawmakers are talking about changing that. Noah Stein, 36, of Somerville, said he thinks the state should make the language change and be more inclusive. Dana Sung contributed to the reporting of this article. But of course “she” is still a word? ?